The real-time preview makes it easy to tweak the default settings for each effect by changing color balance, exposure, contrast and other details. You can also tune the opacity for light and vignetting layers to achieve stronger or more subtle retro effects.In addition to the 20 retro styles, XnRetro includes 15 light overlays and 30 simulated frame styles, all of them can be combined to create custom results. 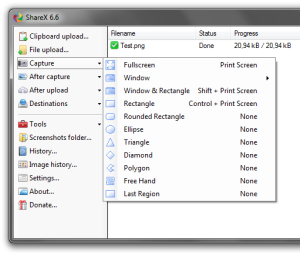 XnRetro is available for Windows and OS X and I’ve taken a look at the Windows version. Frequently in the past, software used to look a bit clunky and dated on Windows, compared to when running on Apple computers, but thankfully that is changing more and more and so XnRetro provides quite a clean and friendly user interface. 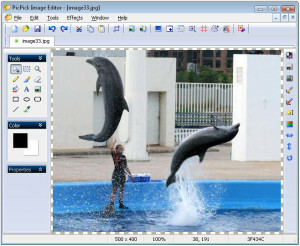 Fotor is an easy to use photo enhancement software that offers 13 different one-click adjustments that have been configured for specific photo capture conditions like “Portrait”, “Backlit”, “Flash”, “Cloudy”, “Food”, “Landscape”, and others. Most photos aren’t taken in a controlled environment and sometimes there isn’t time to adjust the settings on your camera when conditions change. “Scenes” offers 13 different 1-tap-enhance options that have been configured for specific photo capture conditions. The Photo Text feature allows you to use various fonts to type personalized messages on your photos. Our flexible settings allow you to type in bold or italic, use various colors, rotate text and change the opacity or size of your words. 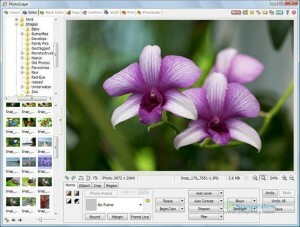 Fotor online photo editor includes six easily search-able categories of amazing photo effects. With over 56 filters, you can give your photos that unique feel that makes them stand out from the crowd. HDR (High Dynamic Range) photography takes three photos with different exposures and combines them into a single image to bring out the best light and tone in each part of the photo. 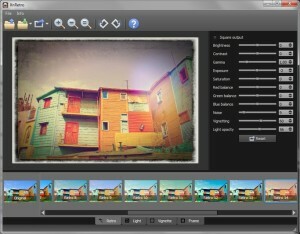 Fotor.com is the first photo editor offering HDR features online so you can capture highlights, shadows and striking details without the need to download software. 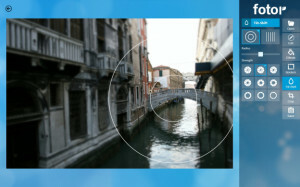 Fotor’s online HDR contains revolutionary HDR technologies including Local Tone Balancing, Photo Alignment and Ghost Reduction that dramatically increase the accuracy and quality of photos. 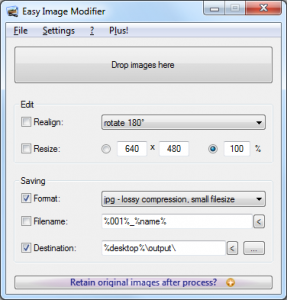 Resize, realign, change format, set watermark, rename etc.